I will be shifting our emphasis from visuals which tell the Bible story to Maps which help us develop better understanding of Biblical history and geography. You will be able to find beautiful collections which you can use for teaching purposes. I tell the story of how I gave my precious Moody Bible Atlas transparency set to my Cambodian student. Years ago, I bought this set of transparencies for a lot of money. The reason why I gave it away? 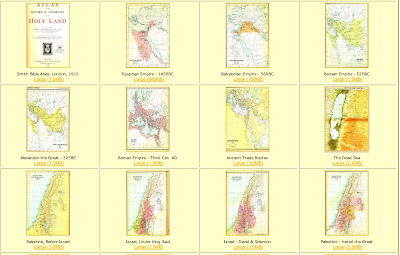 I can get all the maps resources I need online!